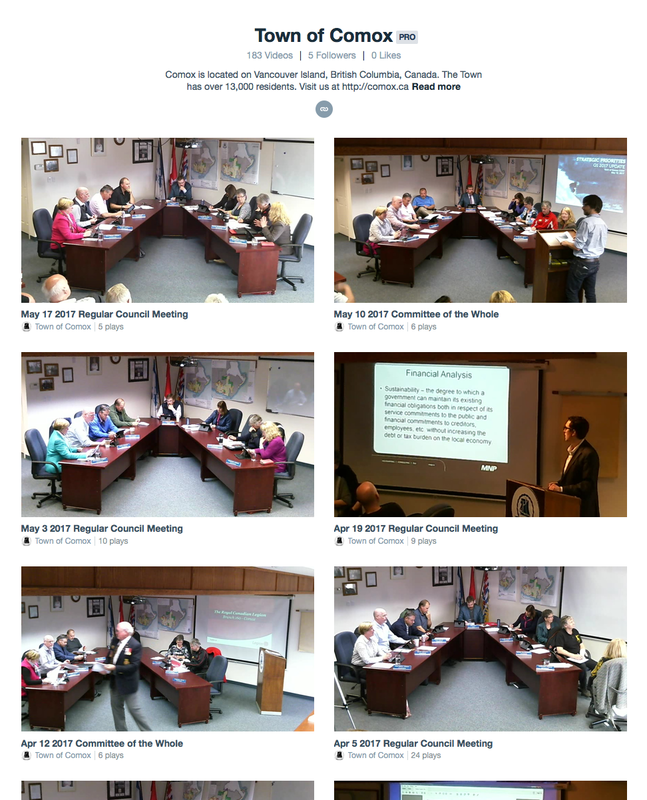 Comox Council provides good audio and video of their meetings. 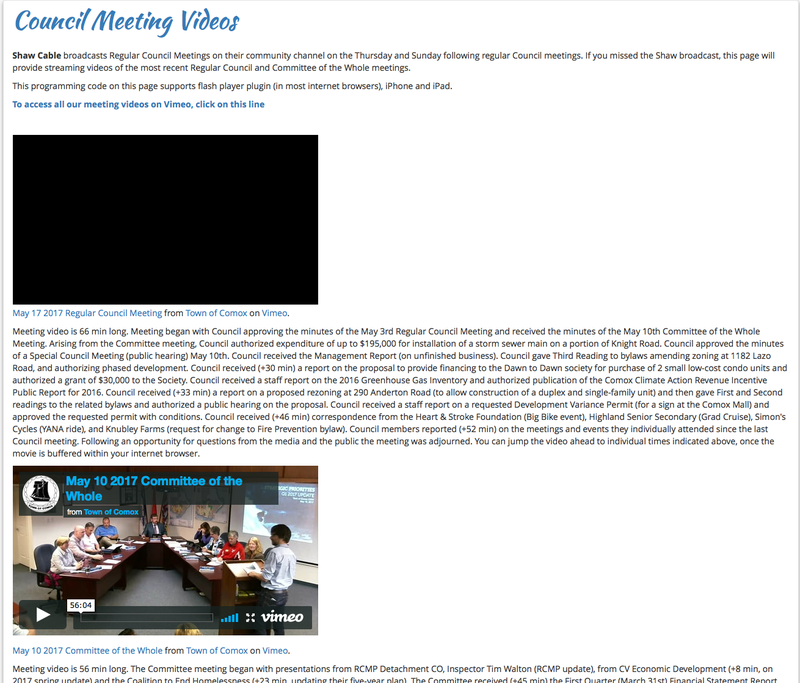 Unsure if it’s staff that post them on Vimeo with a brief description of what transpired during the meeting or if it’s an outside company that handles it for them. This is what we need for the UBID public meetings. I will be delighted if UBID actually goes ahead with the Comox example as I will still have access to the videos without all the work involved. This would be a big step forward and ensures an accurate record is kept of the words and actions of those claiming to be looking out for the best interest of the community. 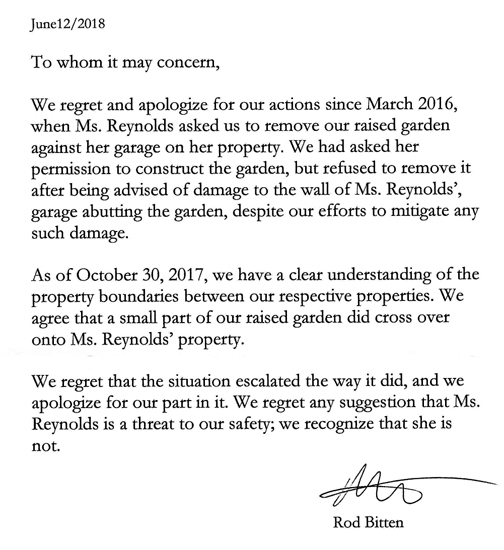 Me thinks their fake motion is going to backfire on them. Self inflicted wounds just like Trump.